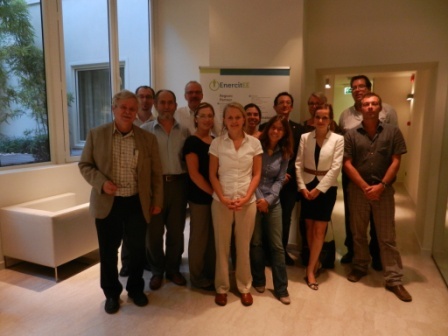 EnercitEE meeting in Bologna / Italy » EnercitEE Blog - EnercitEE is a European project aiming at enhancing the understanding of Energy Efficiency among different stakeholders and improving the respective local and regional policies. 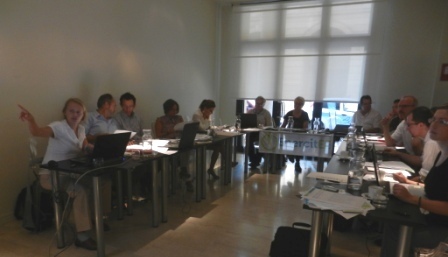 From 29 to 30 September 2011 the EnercitEE Working and Steering Group members met in Bologna, Italy. The Working Group members discussed organisational issues for the upcoming Policy Advice Seminar in Wroclaw (scheduled for end of October 2011) and the Policy Maker Exchange in Växjö, Sweden (planned for June 2012). As a highlight of the meeting the prefinal printed version of the Good Practice Guide (GPG) in English which should be published soon was handed out to the group. 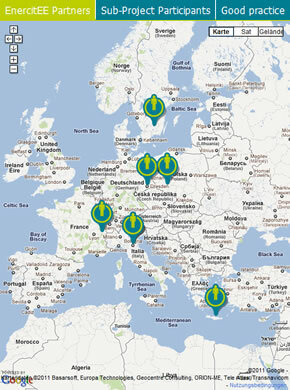 Furthermore, the Regional Managers presented the progress and activities of the EnercitEE sub-projects. In the afternoon of the first day of the meeting the Steering Group members discussed latest regional policies and future challenges in the different regions. On the second day of the meeting a study visit was organised. 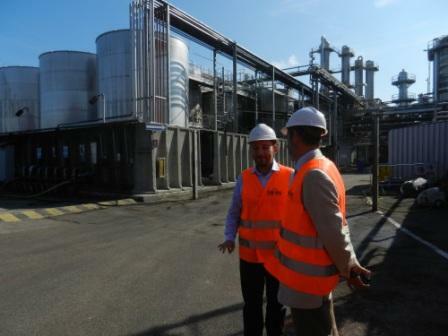 The EnercitEE partners could get an insight into the industrial biomass plant “Caviro” – the biggest wine producer in the region Emilia-Romagna. What makes “Caviro” so special is that the grapes that are supplied by the wine growers from all over the region are not solely used to make wine – the by-products of the winemaking process (the must, the lees and the marc) are used to make sugars and grape juices, alcohol, calcium tartrate, tartaric acid and compost used for agricultural purposes – ultimately, ENERGY. 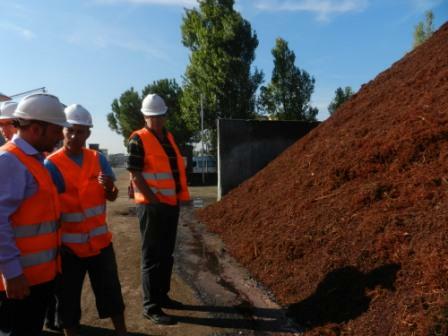 The purification and incineration of the waste from the food product line allows for the total energy self-sufficiency of the Caviro facilities.